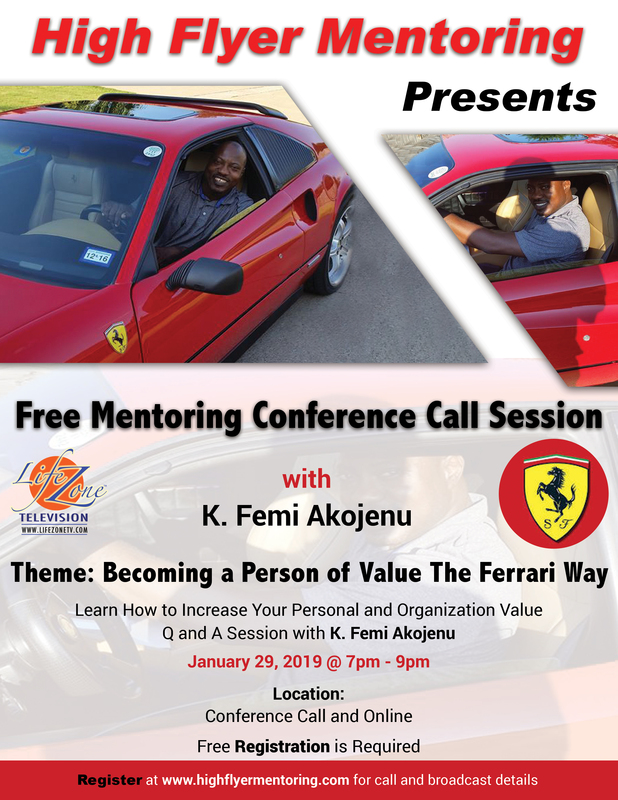 Step Up your personal and professional growth with your mentor, K. Femi Akojenu. 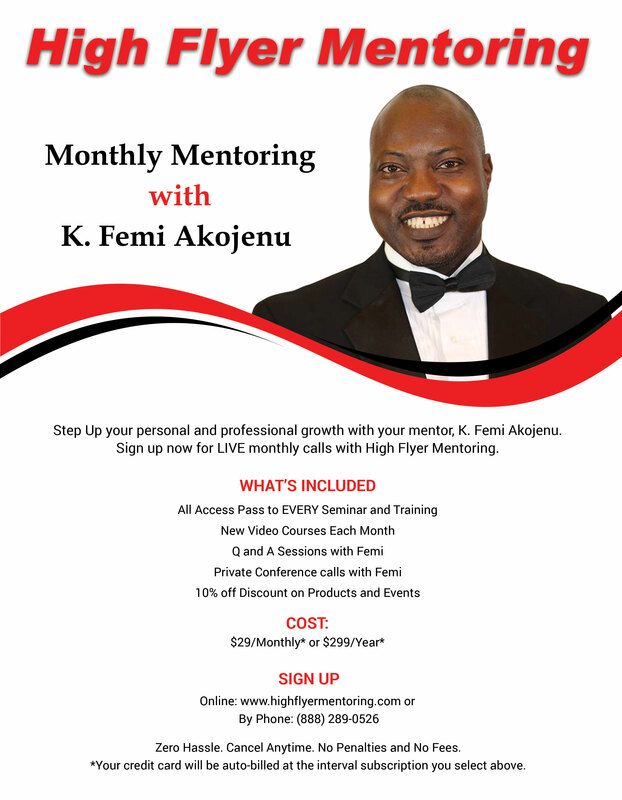 Sign up now for LIVE monthly calls with High Flyer Mentoring. 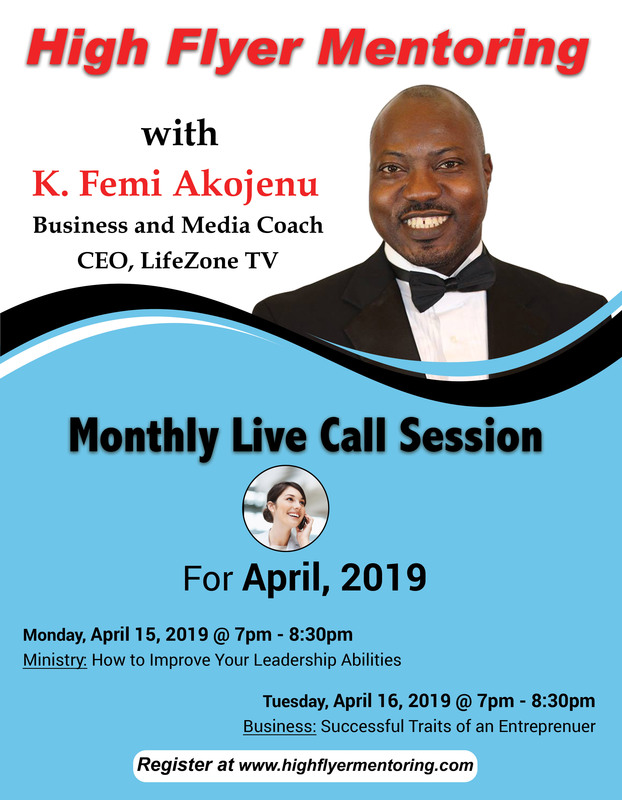 Listen in and ask questions on your LIVE monthly call with Femi. Experience practical, applicable teachings each month to accelerate your business and personal growth. Zero Hassle. Cancel Anytime. No Penalties and No Fees. *Your credit card will be auto-billed at the interval subscription you select above. Hallelujah Hour with Special Guests.